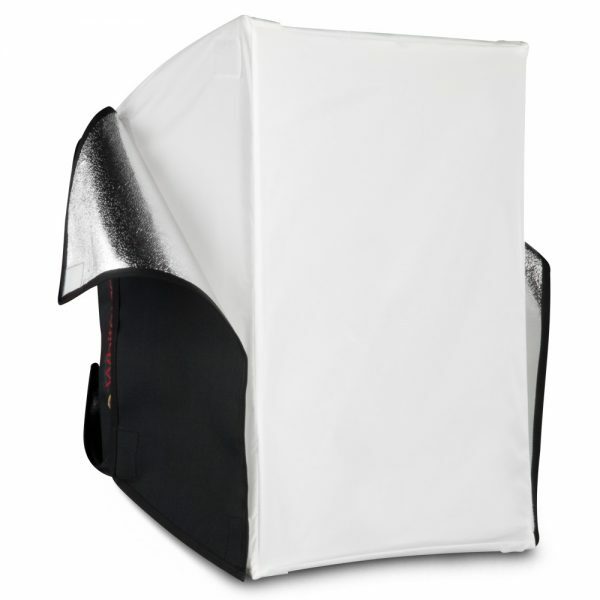 The unique, translucent design of the Photoflex WhiteDome® produces a soft, nearly shadowless effect. With its bright, diffused light, the WhiteDome®: Small is ideal for video lighting as well as with strobes. Removable black side panels prevent unwanted light spillage and allow you to control the direction of light output. Panels are made from our Brimstone™ fabric which is durable and heat-resistant. The WhiteDome® is available in 2 sizes. Connector is required to fit your strobe or continuous lights and are sold separately.